Just when George and Harold thought they’d saved the world – OH NO! Here come the Robo-Boogers!! Disgusting and dangerous hi-tech robots made of gloopy SNOT, they will stop at nothing to cover the whole planet in a river of green and gluey bogey. 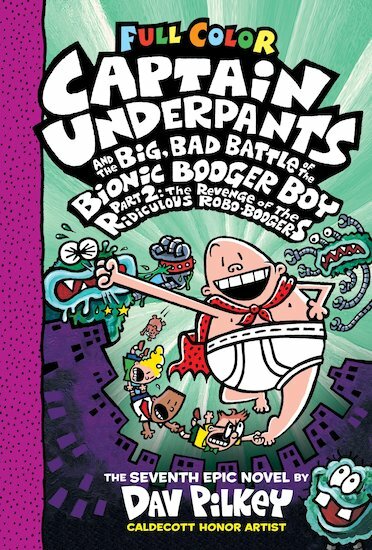 It’s lucky that our heroic waistband warrior Captain Underpants is standing by, with the power of underwear on his side and his hankie to hand!